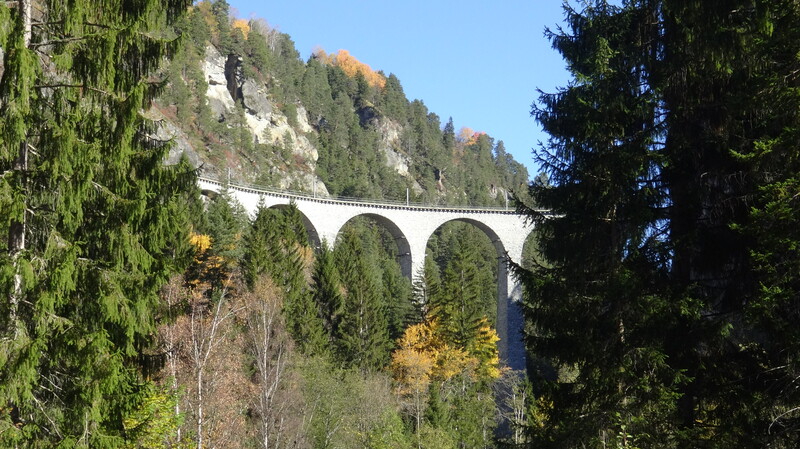 as a UNESCO World Heritage and comprises an incredible number of amazing tunnels, bridges, viaducts and earthworks. 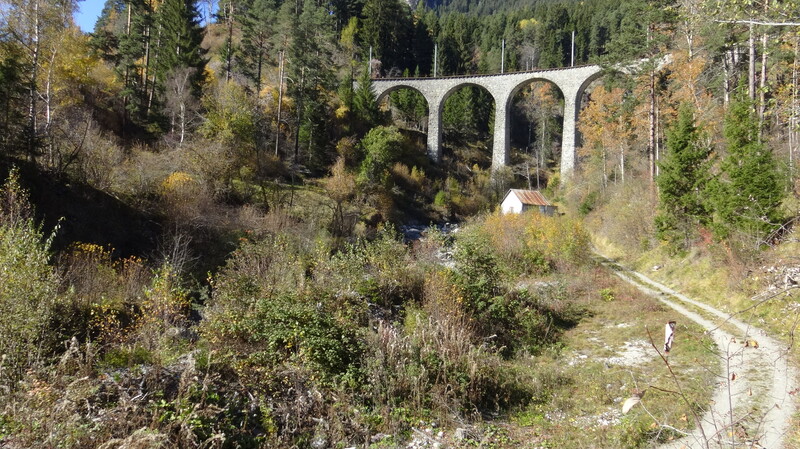 Probably the most iconic is the Landwasser Viaduct – a short hike from the Filisur station. 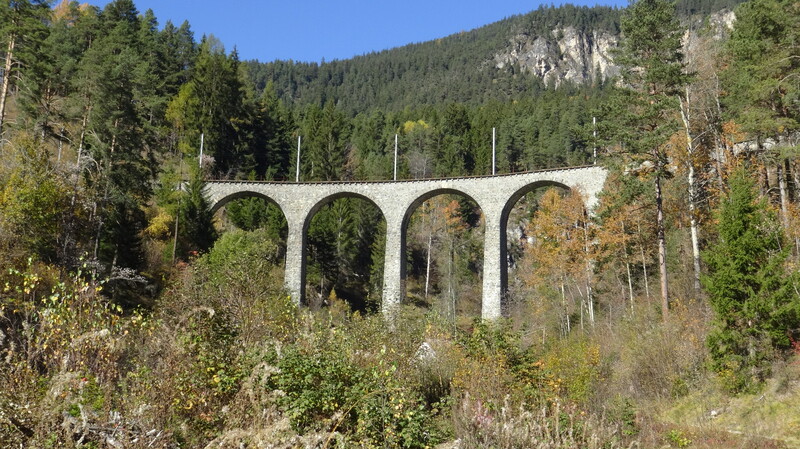 Here are photos and video of three trains traversing. 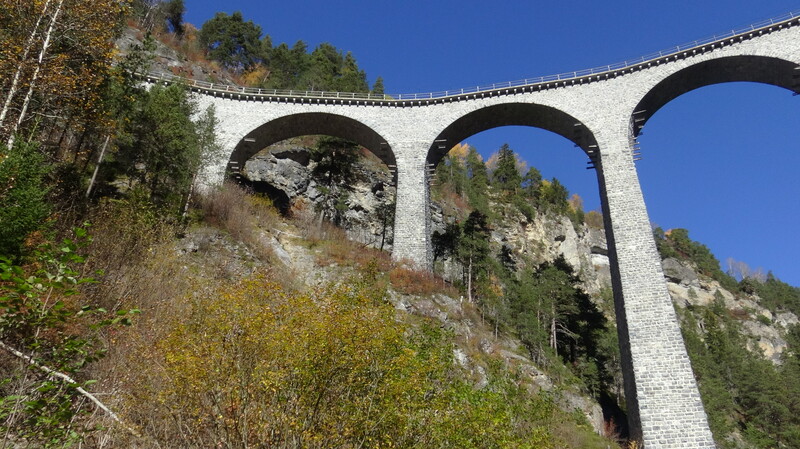 Next phase of this project is to use aerial photography from a quad-copter.